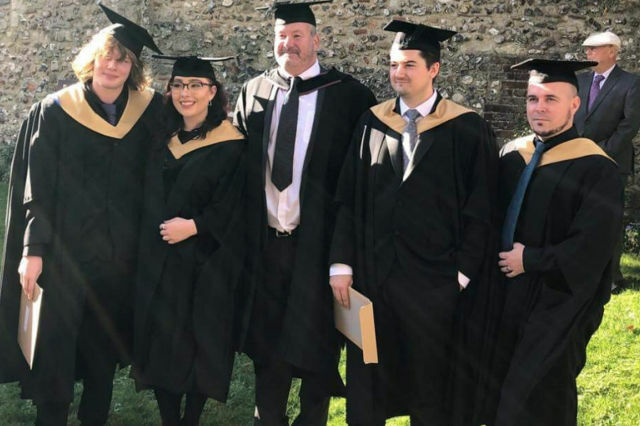 Congratulations to the students from Isle of Wight based music college, Platform One, who in the last week graduated with Masters in Music Industry Innovation and Enterprise. This innovative and exciting one year Masters programme was conceived and written by Platform One and validated through University of Chichester. This is a new addition to Platform One’s full time Higher Education provision. This is the first time a Masters programme has run on the Isle of Wight – with Platform One also running the only BA (Hons) undergraduate programme ever to run on the Island. 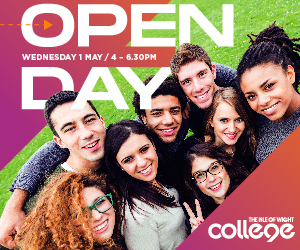 Platform One has been offering quality higher education experiences since 2016. The Masters is carefully designed to prepare students for the next stage of their careers, to challenge current music business models, to innovate and to allow students to be in control of their own career aspirations. “The University of Chichester is proud to work in partnership with Platform One. We have a shared commitment to, and proven track record in, delivering high quality education in a friendly and supportive community of learning that inspires and enables our students to exceed their expectations. Platform One is extremely proud of the achievements of these students. It is always a challenge and a significant commitment getting a brand new programme off the ground and running. To run a Level 7 Masters qualification on the Isle of Wight is an amazing achievement and illustrates just how innovative and committed Platform One are to the Island. Of particular note was the achievement of Jason Paine – a full time tutor at the Platform One – whom graduated with a distinction. Students move forward now with full times jobs, signed to agencies, starting own business and established as freelance and self employed creatives. 1 Comment on "First Isle of Wight Masters students graduate from Music College"